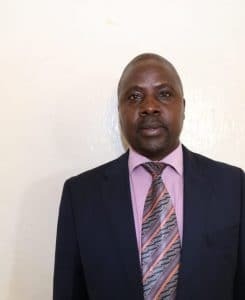 The County Assembly of Nandi duly approved the motion for conferment of the status of a municipality on Kapsabet town for grant of this Charter. NOW THEREFORE IN EXERCISE of the powers conferred by Section 9 (1) of the Urban Areas and Cities Act, (No. 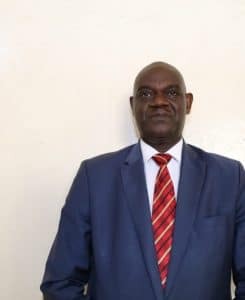 13 of 2011), as complemented by Section 72 of the Interpretations and General Provisions Act (Chapter 2) and all other enabling provisions of law, the County Governor of Nandi HEREBY GRANTS Kapsabet Municipality this Municipal Charter on this ……………………… day of ……………………………. 2017. “Municipality” means the Kapsabet Municipality of the County Government of Nandi. 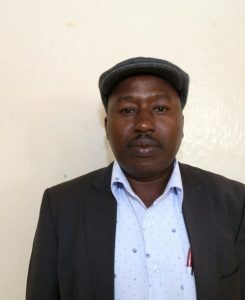 This is the Municipal Charter of Kapsabet Municipality, within the County Government of Nandi, Kenya. 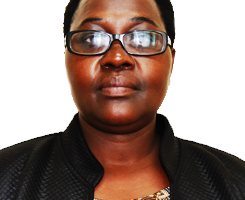 All processes affecting the Municipality shall be served on the Municipal Manager or acting Municipal Manager, and in the absence of both of said officers, on the Secretary of the Board of the Municipality. 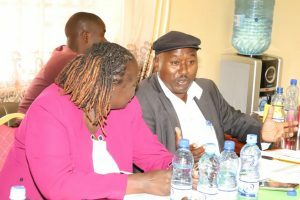 The boundaries of Kapsabet Municipality as now existing or as may subsequently be altered shall be the boundaries of Kapsabet Municipality. Notwithstanding the provisions of paragraph 2.2.1., the frontiers or boundaries of the municipality shall be delineated as provided in the map under the Schedule. 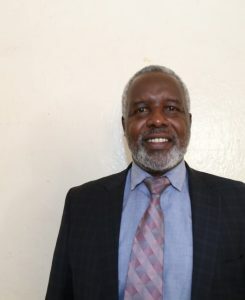 Kapsabet Municipality shall have all the powers, general and special, governmental or proprietary, expressed or implied, which may be possessed or assumed by municipalities under the Urban Areas and Cities Act, 2011, the County Government Act, 2012, and the County of Nandi legislative provisions. No enumeration of specific powers in this Charter shall be held to be exclusive. All such powers shall be exercised in the manner prescribed in this Charter, or, if not prescribed herein, in such manner as Board of the Municipality may determine, or, unless a contrary intent appears in this Charter or in the By-laws and Resolutions of the Board of the Municipality, in such manner as may be provided by the County of Nandi legislative provisions. foster the economic, social and environmental well-being of its community. any other functions as may be delegated by the County Executive Committee Member. 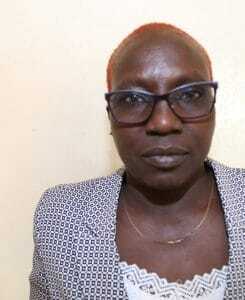 There shall be a Board of Kapsabet Municipality. doing or performing all other acts or things for the proper performance of its functions in accordance with the Urban Areas and Cities Act, 2011, or any other written law which may lawfully be done or performed by a body corporate. 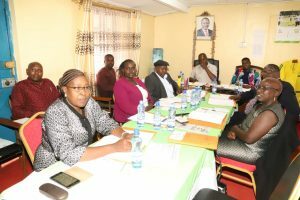 There shall be a principal and agency relationship between the Board of the Municipality and the County Government of Nandi. The Board of the Municipality shall have all the powers and shall perform all the functions vested in boards of municipalities under the Urban Areas and Cities Act, 2011, the County Government Act, 2012, and the Municipality By-laws. Except as this Charter otherwise provides, all powers of the Municipality shall be vested in the Board of the Municipality. clear assignment of functions by the relevant agencies. exercise such other powers as may be delegated by the County Executive Committee Member. Notwithstanding any other provision of law or this Charter, the Board of the Municipality shall exercise such executive authority as may be lawfully delegated by the County Executive Committee for the necessary performance of its functions. performing such other functions as delegated by the County Executive Committee Member. The Board shall be composed of nine (9) members. Four (4) members of the Board of the Municipality shall be appointed through a competitive process by the County Executive Committee and shall be approved by the County Assembly. 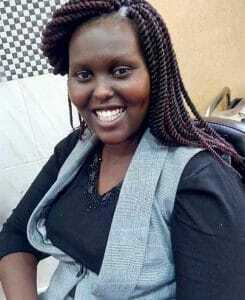 (E) a representative of Youth Nominated by National Youth Council(Nandi Chapter). and appointed by the County Executive Committee with the approval of the County Assembly. In appointing members of the Board of the Municipality, the County Executive Committee shall ensure gender equity, representation of persons with disability, youth and marginalized groups. The term of the members of the Board of the Municipality shall be five (5) years on a part-time basis. have lived in the municipality for at least five (5) years. 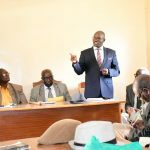 At the first regular meeting of the Board, and subsequently whenever a vacancy arises, the members of the Board shall elect from amongst themselves, a Chairperson and a vice-chairperson, who shall be of opposite gender. The Chairperson and vice-chairperson of the Board shall hold office for a term of five (5) years. perform such other duties as may be delegated by the Board. 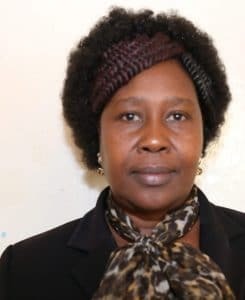 The Vice-Chairperson shall, in the absence of the Chairperson, perform the functions of the Chairperson and shall perform such other functions as may be delegated by the Chairperson. upon petition by the residents of the Municipality. A resident of the Municipality may file a petition with the Board for the removal of a chairperson or vice chairperson. 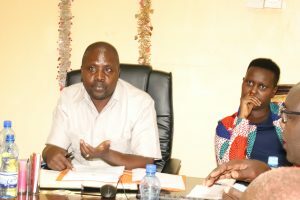 The procedure for the removal or petition for removal of a chairperson or vice chairperson under sub–Articles 3.7.2. and 3.7.3. shall be provided for by regulations under the Urban Areas and Cities Act, 2011, and in the absence thereof in accordance with Kenyan law having regard to fair labour practices. A vacancy in the office of a chairperson, vice chairperson or a member of the board shall, with necessary modification, be filled in accordance with Articles 3.3 and 3.5. At the first regular meeting of the Board, members of the Board shall elect a Secretary from amongst themselves. Where the Secretary of the Board is absent from any meeting, the members shall appoint a Secretary from amongst themselves for purposes of that meeting. include persons who are not members of the Board in any Committee. The Committees of the Board to which members of the Board delegates any of their powers and functions must follow procedures which are based, as a far as they are applicable, on the provision of this Charter which govern the making of decisions and performance of functions by the Board. 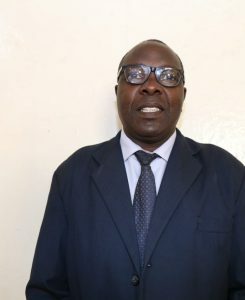 The chairperson, vice chairperson and members of a Board shall not receive a salary from the Board but shall be paid such allowances and benefits as the County Executive Committee shall, with the approval of the County Assembly, and on the advice of the Salaries and Remuneration Commission, determine. The Board shall hold its sittings to transact the business of the Board once every three (3) months. Notwithstanding Article 3.11.1., the Chairperson of the Board may, and upon request in writing by at least one-third of the members of the Board, convene a special meeting to transact any urgent business of the Board. All regular meetings of the Board called for the purpose of transacting public business, where a majority of the members elected are present, shall be open to the public. The Board shall have the privilege of holding executive sessions from which the public is excluded but no by-laws, resolutions, rules or regulations shall be finally adopted at such an executive session. A majority of the members of the Board is a quorum to conduct business, but a smaller number may meet and compel attendance of absent members as prescribed by the Board’s Rules. A member of the Board who is interested in any discussions or decision-making regarding any subject or transaction under consideration by the Board, shall not be counted as participating in the discussions or decision–making, and is not entitled to vote on, or agree to the subject or transaction relating to it. If it comes to the knowledge of an officer employed by a Board that a bargain, contract or arrangement in which he or she has any direct or indirect pecuniary interest (other than a bargain, contract or arrangement to which he or she is a party) has been or is proposed to be made or entered into by the Board, that officer shall as soon as practicable give notice in writing to the Board disclosing the fact that he or she has interest therein. The Board shall by resolution adopt rules to govern its meetings. The minutes and other information of the Board shall be kept by the Secretary of the Board. Access to information on the activities and resolutions of the Board shall be as provided under the Urban Areas and Cities Act, 2011. 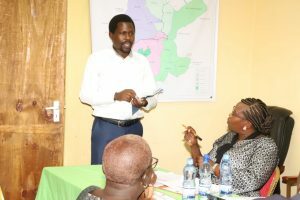 The Board shall ensure the development of mechanisms for the participation of the residents of the Municipality in the management and administration thereof. All recommendations from the Citizen Fora of the Municipality shall be forwarded to the Board for deliberation. All recommendations on issues raised in the Citizen Fora and addressed and/or resolved by the Board shall be forwarded to the Municipal Manager for implementation. receive representations, including feedback on issues raised by the county citizens, from elected and appointed officials. The board shall invite petitions and representations from the Citizen Fora with regard to the administration and management of the affairs within the Municipality. The Manager shall make a report on the decision made by the Board in respect of a petition or presentation made by a citizen fora and reasons for such decision. 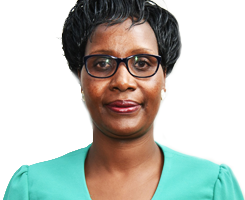 The Board may make recommendation to the County Government on topical substantive and procedural issues relating to the Municipality that the County Government should make legislation on. The Board shall exercise its administrative authority by approving resolutions. Approval of a resolution or any other Board administrative decision requires approval by a majority of the Board. Any substantive amendment to a resolution must be read aloud or made available in writing to the public before the Board adopts the resolution at that meeting. After approval of a resolution or other administrative decision, the vote of each member must be entered into the Board minutes. Resolutions and other administrative decisions take effect on the date of approval, or on a later date expressly provided in the resolution. 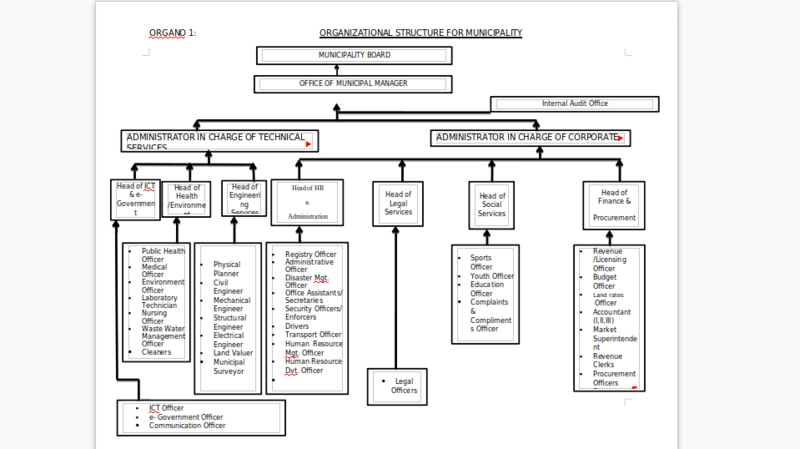 There is established the office of the Municipal Manager. 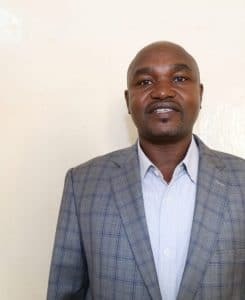 The Municipal Manager shall be the administrative head of Kapsabet Municipality. with the approval of the county assembly, appoint the Municipal Manager. 7.2.2 The office of the Municipal Manager shall be an office in the county public service. The Municipal Manager shall be responsible to the County Executive Committee Member for the administration of the Municipality. 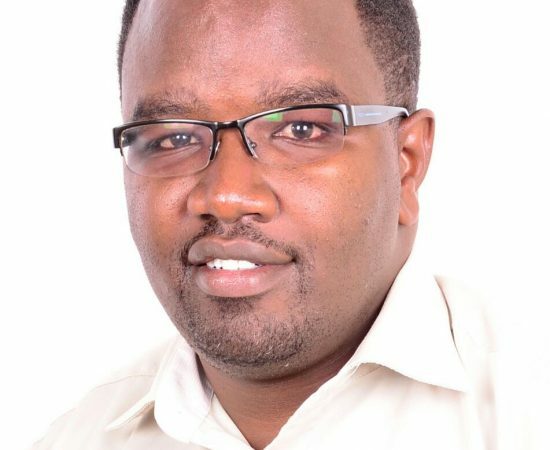 The Municipal Manager may resign from office by giving notice, in writing, to the County Executive Committee Member. The Municipal Manager shall appointed on contractual basis of a period of three (3) years. is incompetent or unfit to discharge official duties. Before removal from office under paragraph (1) (a), a member shall be accorded a fair opportunity to be heard by the County Executive Committee member. The Municipal Manager shall be appointed on contractual basis for a period of three (3) years which may be renewed for a further contractual term. has proven experience of not less than five (5) years in administration or management either in the public or private sector. the person satisfies the requirements of Chapter six of the Constitution. The Municipal Manager need not reside within the Municipality but resides within the County. The Municipal Manager shall implement the decisions and functions of the Board and shall be answerable to the Board. 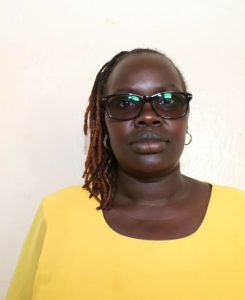 make them available to any resident of the area within the jurisdiction of the board, upon application and payment of the prescribed fee as per the Nandi County Finance Act. perform such other functions as the Board may, by order, confer upon the Municipal Manager to perform. a statement that the process has been complied with, together with any explanations that may be necessary to clarify the statement. exercise such other powers as may be prescribed by this Charter, County legislation and other applicable laws. delegate duties, but remain responsible for actions of all subordinates. The County Public Service Board shall set the compensation and determine the conditions of employment of the Municipal Manager. The Municipal Manager may be removed from office in accordance with the provisions of civil service and shall have due regard to fair labour practices. Any vacancy arising in the office of the Municipal Manager may be filled in the manner provided under Article 6.2. When the Municipal Manager is temporarily disabled from acting as Municipal Manager or when the office of the Municipal Manager becomes vacant, the County Executive Committee Member shall designate a qualified person from within the County Public Service to be an Acting Municipal Manager. The County Executive Committee Member shall inform the County Public Service Board of such appointment within seven (7) days. The Acting Municipal Manager shall have the authority and duties of the Municipal Manager, except that the Acting Municipal Manager may appoint or remove employees only with approval of the Board. An Acting Municipal Manager shall hold office until such a time as a new Municipal Manager shall be appointed, in which case, such period shall not exceed one (1) year. 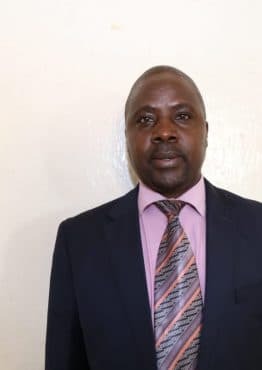 The Municipality Accounting Officer shall be designated by the County Executive Committee Member for Finance in the manner provided under Section 148 of the Public Finance Management Act, 2012.
effective, efficient, economical and transparent. carry out such other responsibilities as may be specified in regulations by the County Executive Committee Member for finance. submit the report to the County Executive Committee with a copy to the County Treasury. Not later than one month after receiving a report by the accounting officer under subs–Article 7.3.3. (b), the County Treasury shall submit to the County Assembly the accounting officer’s report and may include any comments on the report by the County Treasury. The Municipality shall operate on an annual budget. The financial year of the Board shall be a period of twelve (12) months ending on the thirtieth of June, each year. The budget of the Board shall be developed in the manner provided under Section 175 of the Public Finance Management Act. The Board shall, with the approval of the County Executive Committee Member for finance, open and maintain a bank account in the name of the Municipality. All monies received by the Board shall be paid into the County Revenue Fund Account. and subject to such terms as may be imposed by the County Assembly or such terms as provided by law. The Board shall cause to be kept all proper books and records of account of its income, expenditure, assets and liabilities. Within a period of three (3) months after the end of each financial year, the Board shall submit to the County Executive Committee as per Article 7.3.
make them available to any resident of the area within the jurisdiction of the Board, upon application and payment of the prescribed fee. Where the Manager of a board fails to table the report as required under this section, that report shall be laid by any other person authorized by the Governor. The County Public Service Board may, upon request by the Municipal Manager for Human Resource, employ such officers and employees as it deems necessary to execute the powers and duties provided by this Charter or other any other law. Employees of the Municipality shall report to the Municipal Manager. All officers of the Board shall subscribe to an existing pension scheme approved by the Retirement Benefits Authority. The compensation of all employees of the Municipality shall be set by the County Public Service Board upon the advice of the Salaries and Remuneration Commission. The Board is a body corporate and may acquire real, personal, or mixed property for any public purpose by purchase, gift, bequest, devise, lease, or otherwise and may sell, lease, or otherwise dispose of any property belonging to the Municipality. 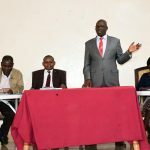 All town property and funds of every kind belonging to or in the possession of Kapsabet town at the time this Charter becomes effective are vested in the Municipality, subject to the terms and conditions thereof. Whenever the Municipality deems it necessary to acquire private land for its purposes, it shall request the County Executive Committee Member to request the National Land Commission to acquire the land on its behalf. The provisions of the Land Act, 2012, shall apply to any intended compulsory acquisition by the Municipality of property within the Municipality. The Board may acquire, obtain by lease or rent, purchase, construct, operate, and maintain all buildings and structures it deems necessary for the operation of the Municipality. The Board shall do whatever is necessary to protect municipal property and to keep all municipal property in good condition. The Municipal Manager, the Chairperson and Vice-Chairperson and the members of the Board, and all other persons elected or appointed to any office of profit or trust in the Municipality, as determined by Board, shall exercise their official duties in accordance with the tenets of the Leadership and Integrity Act, 2012, and the Public Officer Ethics Act, 2003. The County Executive Committee Member may at any time, after consultation with the Board, amend any provision of this Charter. 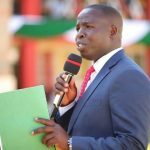 The County Executive Committee Member shall cause a copy of the proposed amendment to the Charter to be laid before the County Assembly within thirty (30) days of its amendment for approval. 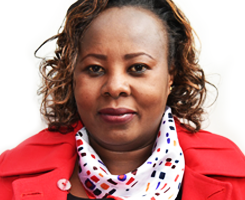 If, at any time, any provision of this Charter is or becomes illegal, invalid or unenforceable in any respect under Kenyan law, neither the legality, validity or enforceability of the remaining provisions nor the legality, validity or enforceability of such provision will in any way be affected or impaired. The provisions of this Charter shall take effect upon publication. Nothing in the Charter except as otherwise specifically provided shall effect or impair the rights or privileges of persons who are Town Officials, Officers or Employees at the time of its adoption. All Town Departments shall continue to operate with the same powers, duties, activities, budgets, and employees as were in effect at the time this Charter becomes effective until changed by the Municipal Manager with the approval of the Board. Exercise such other powers as may be prescribed by the Charter, by-laws and applicable laws. Controlling land use, land sub-division for various development purposes as may be delegated. Promoting and undertaking infrastructural development and services within the Municipality as may be delegated by the County Government. Developing and managing schemes, including site development in collaboration with the relevant National and County Agencies. Enforcing the fees, levies and charges as may be authorized by the County Government for delivery of services. Ensuring provision of services to its residents. Implementing national policies and policies of the County Executive Committees as they affect the Municipality. Enforcing compliance with Constitutional provisions on Consumer Rights, fair administrative action, Bill of Rights and Values and Principles of Public Service. Coordinating and facilitating citizen participation in the development of policies and plans and delivery of services. Implementing policies for fire and disaster management. Promoting a safe and healthy environment. Performing such other functions as may be delegated from time to time. In possession of a Bachelor’s Degree from a university recognized in Kenya or its equivalent. Possession of a Post-graduate qualification or a related discipline from a recognized institution will be an added advantage. Proven experience of not less than five (5) years in administration or management either in the public or private sector.